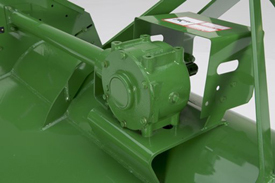 All mowers use a heavy-duty gearbox with a continuous rating of 65 hp. 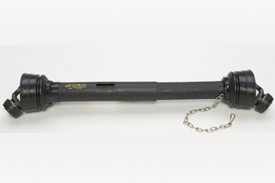 The power is transmitted through fully shielded, telescoping drive shafts with quick-attach and detach characteristics for easy hookup. The 25A hitch is now compatible with any Category 1 3-point hitch (with or without the iMatch™ Quick-Coupler system). iMatch compatibility starts with serial number 644700. Rotor revolves at 1850 rpm to produce a 152.9-km/h (95-mph) blade-tip speed for a clean cut. 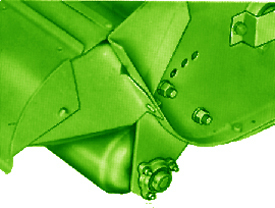 Knives are arranged on the rotor to provide uniform distribution of material across the full cutting width. 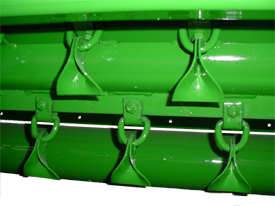 Knives pivot at their mounting points to minimize damage if an obstruction is hit. 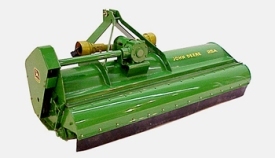 The roller can be set at four different cutting heights, from 1.3 cm to 12.7 cm (1/2 in. to 5 in.) 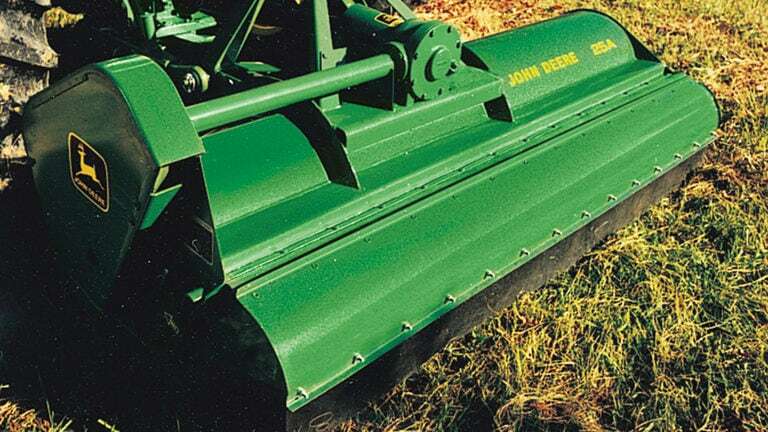 The tractor's 3-point hitch upper link is used to regulate the cutting height between these positions.